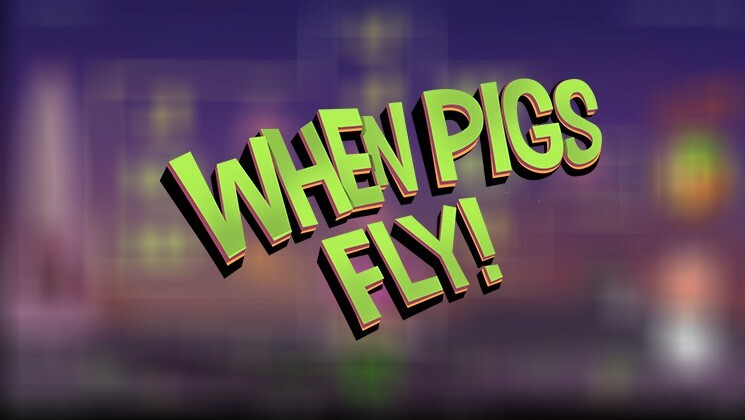 When Pigs Fly is a five reel and 20 paylines video slot powered by NetEnt. Slot provides players with very cartoony feel using pigs in space as a theme. When Pigs Fly features low paying symbols which are playing card symbols in bold lettering and high paying symbols which are closely related to the space theme. As usual with many NetEnt games players can try out When Pigs Fly slot for free ot visit any NetEnt casinos like Casimba Casino, FreakyAces Casino, MrGreen Casino and others to play for real money. Before you go for a space adventure with astronaut pigs, bets need to be placed. With “Level” button you can adjust number of coins per line, it goes from 1 to 10. “Coin Value” ranges from 0.01 to 1. “Max Bet” starts game with already highest bet value. Use “Autoplay” to set number of spins will be played automatically and press “Spin” to start the game. 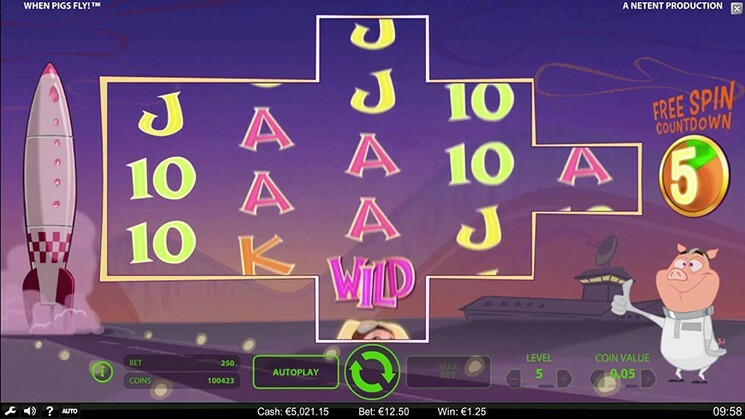 One of the main features that video slots offers are Re-Spins. Players can win up to 5 re-spins with each re-spin that can change shape of the reels. During each re-spin, 2 new different positions will open on reels, which will result in the explosion and giving players 2 new symbols to create more winning combos. In addition, each re-spin give players more paylines to win. With first re-spin number of the winning paylines are 135 and last re-spin give players 1,875 ways to win. Free Spins feature can be activated if you have a winning combo on the last fifth re-spin after that you will awarded with 8 free spins. After that reels will expand filling 5 reels and 5 rows giving players massive 3,125 ways to win. In conclusion, When Pigs Fly video slot provides players with unusual theme, but still can be highly rewarding for players.